HUGHES, Howard. ALS to his Second Wife Jean Peters. N.P. , 1965. One sheet yellow lined legal paper (14 x 8 1/2 inches; 355 x 215 mm). 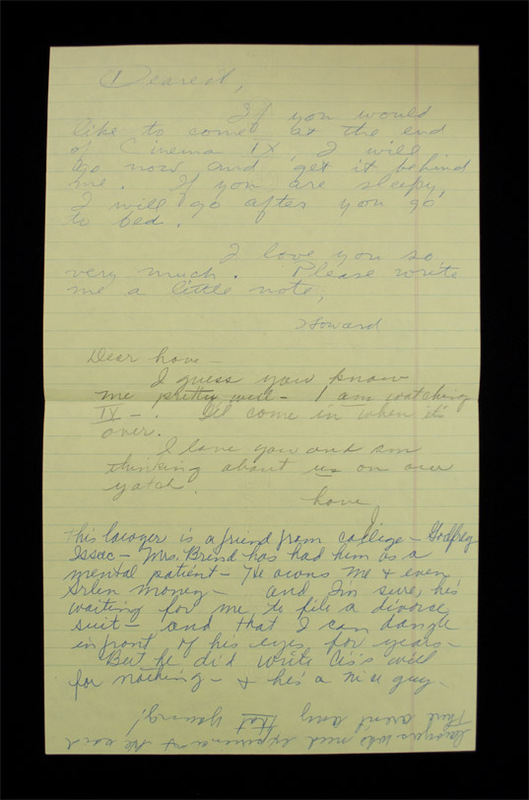 At the top of the sheet, a note to Jean, signed "Howard." 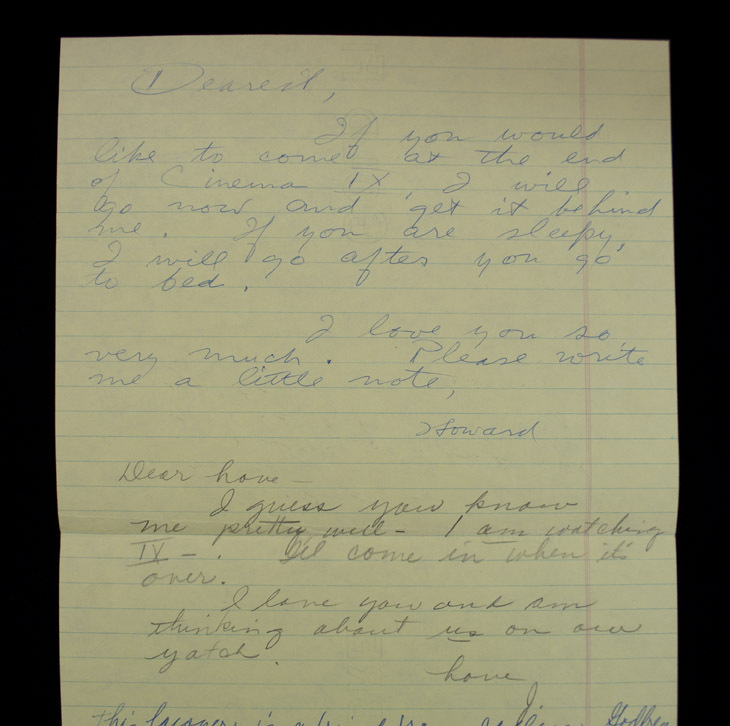 Just below that note, Jean replied on the same paper and signed it "J". 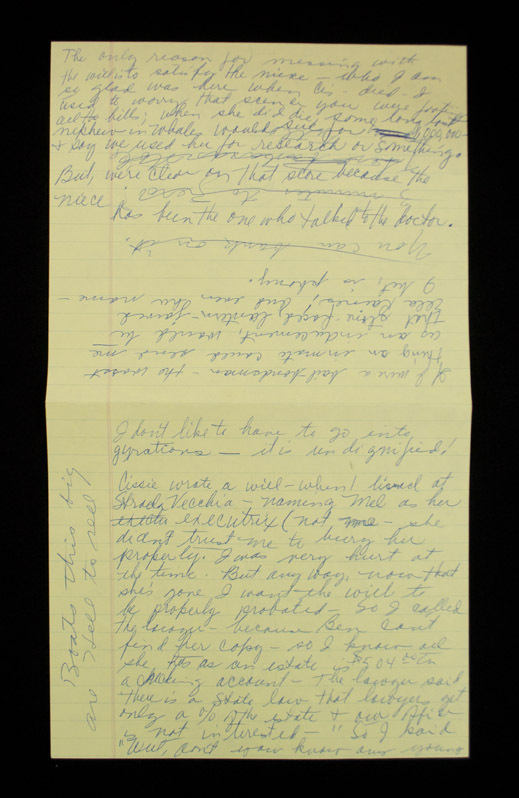 There are a few other notes in Jean's hand related to family issues on both sides of the sheet. 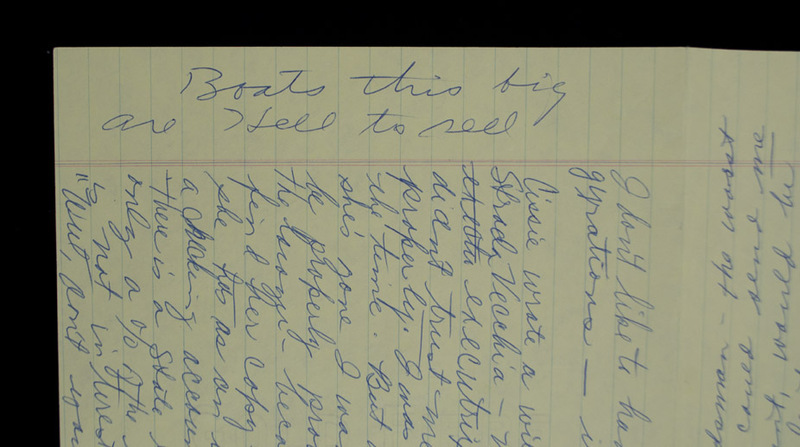 On the reverse side along the margin is one line in Hughes' hand which reads "Boats this big are Hell to sell". Sheet with one fold crease. Overall very good.